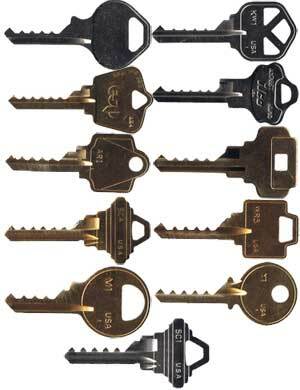 All of the keys in this set come in either nickel plated brass or solid brass. The main purpose of the nickel plating on a key is to make it “look pretty”, please do not believe that seeing a nickel plated key provides strength improvements. This is one of our most popular packages as it contains a very good mix covering a wide range of keyways and locks. If you're just starting out, this is the set that is most often recommended. Be the first to review “Set of 11 Bump Keys” Click here to cancel reply.